Which part of the food web does this roadrunner belong to? No. Primary consumers eat producers. 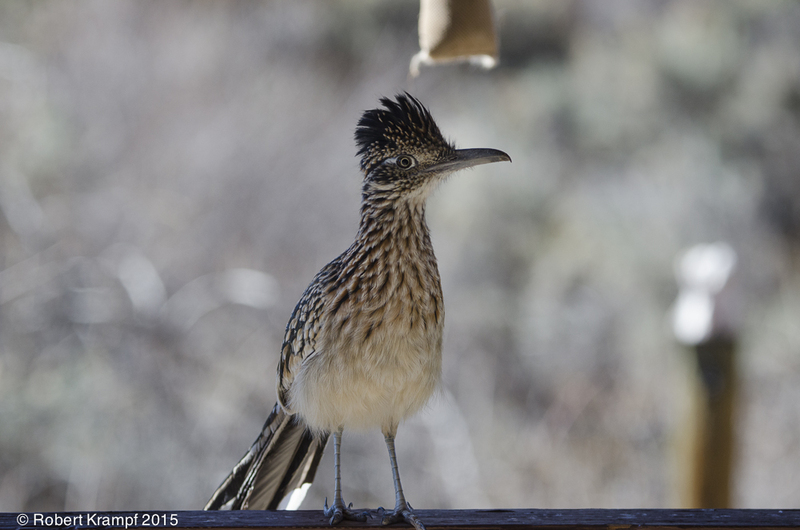 In spite of what you may have seen in cartoons, roadrunners do not eat plants or bird seed. Yes! Secondary consumers eat other consumers. Roadrunners are predators, and eat lizards, snakes, mice, and many other small animals. No. Roadrunners may occasionally scavenge freshly killed animals, but they are not decomposers.